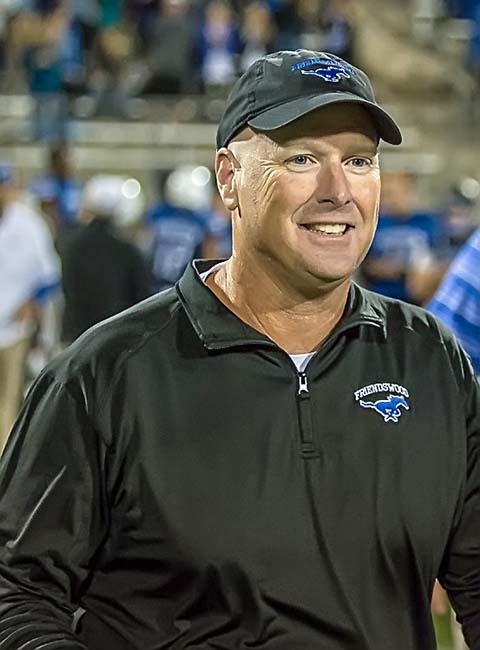 FRIENDSWOOD — For the fourth time in the past seven years, the Friendswood Mustangs have been selected as a finalist for the Sportsmanship Award by the Touchdown Club of Houston. Title sponsors for the gala are Comerica Bank and the Fellowship of Christian Athletes. The event will be held on Wednesday, January 30 at noon at the Bayou City Event Center located at 9401 Knight Road, near the intersection of Holmes and Fannin streets -- near NRG Stadium. Schools that have been selected for the Sportsmanship Award Luncheon are based upon voting by the Texas Association of Sports Officials (TASO), Houston football officials chapter, for the 2018 high school football season. Friendswood is in Class 5A and the following schools were named finalist for this distinguished award. Class 5A: Angleton, Austin-HISD, Friendswood, Kingwood Park, Lamar Consolidated, Manvel, Marshall, New Caney, Northside-HISD, Paetow, Porter, Sharpstown, Terry, Texas City and Waltrip. The Mustangs won this award in 2013 and placed third in 2015. The finalists for the award are chosen on five criteria: 1) Actions of the team, 2) Action of the coaches and support groups, 3) Respect for the American flag, 4) A score based on the number of personal fouls incurred during the game, and 5) A score based on the number of unsportsmanlike conduct fouls. Voting was done electronically by the Texas Association of Sports Officials (TASO), Houston football chapter, who are the refs covering the high school games in Greater Houston. The winner of the award will receive a traveling trophy that is kept for one year and a permanent plaque to keep. All finalists receive a certificate.